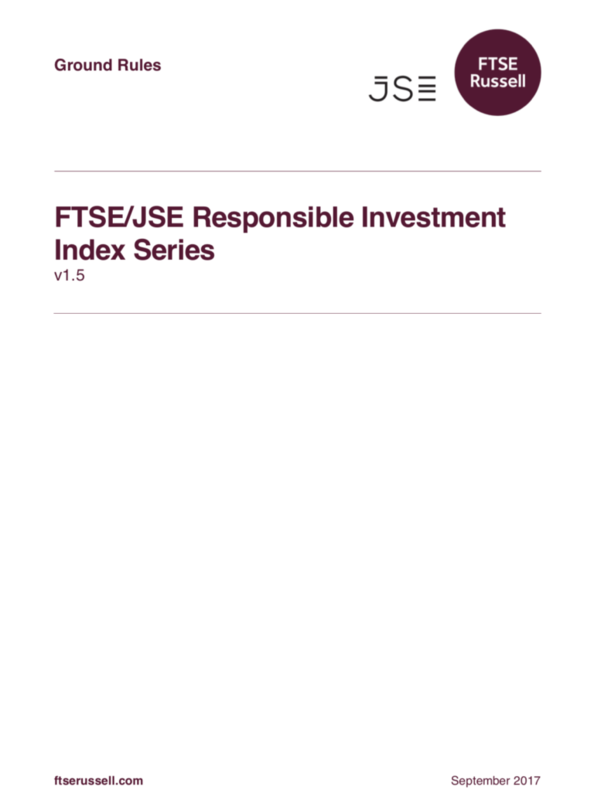 string(1084) "Resource Centre > Uncategorized > FTSE/JSE Responsible Investment Index Series"
• The FTSE/JSE Responsible Investment Index, a market capitalisation weighted index calculated in ZAR on an end of day basis. • The FTSE/JSE Responsible Investment Top 30 Index, an equally weighted index calculated in ZAR on a real time basis. The index series has been designed to identify South African companies with leading environmental, social and governance practices.